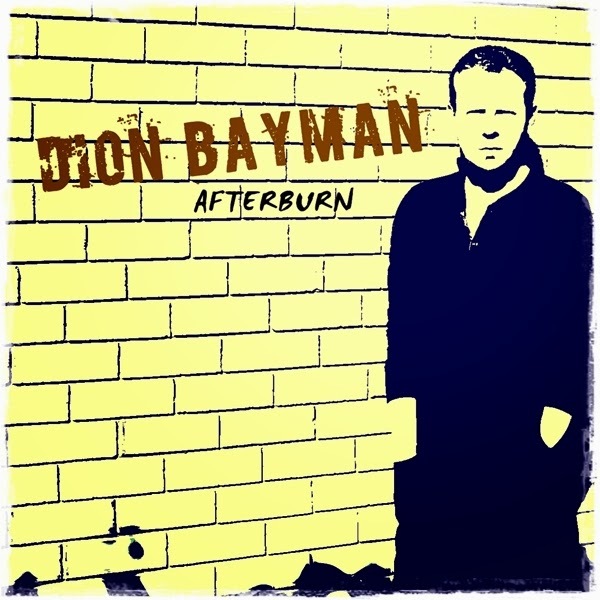 Rock & Metal 4 You: CD-Review: Dion Bayman - "Afterburn"
CD-Review: Dion Bayman - "Afterburn"
The Pop/Rock sensation from Down Under is back: Dion Bayman came out of nowhere in 2013 with his album "Smoke & Mirrors", which surprised and impressed me very much back then, so it was easy for Dion to end up in my top list of the best albums last year. Just one year later Mr. Bayman reaches for the stars again with his new record "Afterburn" on September 23rd. On "Smoke & Mirrors" Dion Bayman offered us a well crafted and produced Pop/Rock record, that was easy to listen to because of its smooth songwriting, catchiness, Dion's warm voice and lyrics from the heart. First of all: you'll find this formula again on "Afterburn", so not much has changed. The songs are extremly catchy (especially the choruses) and the whole album is really enjoyable. Dion's idols are still Bon Jovi, Bryan Adams, Richard Marx and Matchbox Twenty and you hear that immediately. I think this time he focuses more on the Matchbox Twenty style, because the record sounds a bit more modern and slightly heavier. That means the guitars are a bit louder and more present, which gives the album a few more edges. With that said "Afterburn" has finally much more of an Melodic Rock record than its predecessor had, which I really appreciate. Just listen to songs like "Strong" or "You Might Think I Don't Want You" - these tracks rock! There are so much melodic jewels on this album again, so I just can't count them and it's hard to pick some favorites here. Nearly all songs are potential airplay hits and in a fair world Dion would rule the radio stations with his music all over the world. So if you want to get a first taste of "Afterburn", listen to the first single "Bittersweet" and if you like that one you can buy this album immediately! You won't be disappointed by the rest of the tracks, because they are all in the same vein. Speaking about this it is the only critical point I have: Very often Dion's songs follow the same structure, so sometimes it feels like I've heard a certain melody here and there already in other songs from him and of course the surprising moment that "Smoke & Mirros" had is gone. You just simply know what to expect without any surprises. But I have to say this is nagging on a high level and shouldn't stop you from purchasing the album on Dion's homepage. Speaking about the production: it's again very polished and clear and a bit louder this time. One thing that impresses me over and over again is the fact that Dion Bayman is a one-man-band. He makes everything on his own - and I really mean EVERYTHING. He plays all instruments on this record, he writes the songs, he sings, he mixed, produced and mastered the album all alone without a big budget and then this album sounds so enjoyable. I take my hat for such a stunning performance. I know it shouldn't be part of a review, but I just want to add something personal now: in my review to "Smoke & Mirrors" I criticized that Dion didn't do something to promote his music. Shortly after that he launched his own Facebook page and it is unbelievable to me that he just reached 82 likes in a year. What is wrong with you, folks? I mean everyone who has a sense for Melodic Rock (and I know that much of the readers of this page have this) should be pleased to have an artist like Dion, who delights us with the music we love, so show your support - he simply deserves it. Same goes to the record labels - I really don't get it. Why people like Dion Bayman or Johnny Lima didn't get a licensing deal? Their records are so much better than any pseudo Melodic Rock project in the last years. Dear labels, give these musicians a chance to grow! Finally I just can say that "Afterburn" is again a fantastic album from a very charismatic guy who makes passionate music with heart and soul. I enjoyed every minute of this record and I'm pretty sure sooner or later Dion Bayman will get the success he deserves. I belive in him. For now you should buy this album, because it is simply essential for every Melodic Rock fan out there. 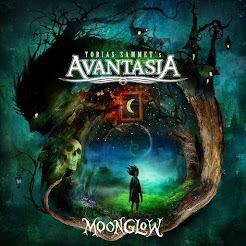 CD-Review: Kissin' Dynamite - "Megalomania"
CD-Review: Unisonic - "Light Of Dawn"